Transformation processes on the legal market continue. Participants generally managed to adapt to difficult economic conditions, there are even cases of return increase – but only in Hryvnia equivalent. Compared to other sectors of the economy the management of the situation is rather good, although there are no reasons for optimism yet. One of the year’s most remarkable trends in the legal market was the active migration of practicing lawyers into government offices, mainly into the ex-ecutive power vertical. It can be said that law firms served as one of the main sources of the government personnel reserve. However, traditional career moves by lawyers have been also plentiful this year. The spending budget of customers on external legal expenses has been significantly cut. This is acknowledged by all market participants. The reduced number of solvent customers has encouraged competition on the legal services market. And very often the financial aspect is regarded as the main tool in the competitive fight. Once attractive areas of legal practice — support of investments and M&A, transactions in the financial and banking sectors, not to mention the capital markets, have not yet reached the pre-crisis level of workload. The objective stagnation, however, can be regarded as a rehabilitation period and the pos-sibility to reformat the practice by bringing it into line with new market conditions and legislative realities. Those law firms that have managed to pass this way successfully will receive a distinct competitive advantage when activating, I dare to hope, the national economy. The reform-minded sentiments of lawyers are extended not only to the specific legal spheres of law-enforcement and the judicial sector. Experts are tak-ing an active part in developing legislative proposals and new regulations in the most rapidly developing sectors of the Ukrainian economy: agriculture, IT, energy, and pharmaceuticals. Apart from the benefits expected for business, implementation of the reforms requires substantial legal support. This means even greater demand for field-specific lawyers. The high-tech industry in Ukraine is currently developing. It is now on the rise not least due to officials who were simply unaware of what was actually going on. It is only over recent years that the government have decided to pay attention to IT. However, such attention is hardly helpful. "Agricultural holdings, when approaching the year’s close with negative indicators, were compelled to enter into a direct conflict with creditors"
Olena Pertsova, the Head of Dispute Resolution practice of Pavlenko Legal Group, believes. The rules of business now require that a company security system be properly organized, for nobody is immune from searches. Not only companies can, but also they should, get prepared for searches. The company security plan should definitely include regular internal and external audits, a credibility control of business partners and employees, a consistent strategy of dealing with law-enforcement and well-timed PR campaigns. 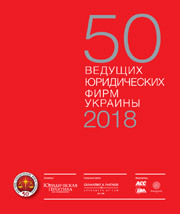 Ukrainian companies are quite active in deciding their disputes in international arbitration courts. Today, there is great demand for Ukraine as a respond-ent in investment arbitration. 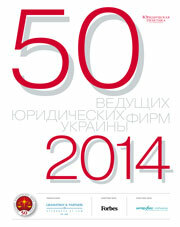 This provides lots of work for legal advisers, including Ukrainian law firms. But due to the insufficient promotion of arbi-tration in our country, big business representatives prefer to turn to reputed foreign arbitration centers. says Sergiy Gryshko, Partner at Redcliffe Partners. "The fiscal authorities are capitalising on their freed-up time to run more sophisticated inspections." Serhiy Verlanov, partner at Sayenko Kharenko, comments on the most recent trend. Notwithstanding a significant reduction in the size of the intellectual property service market, an active law-making process is being observed for the first time in 20 years. A certain competition exists between agents involved in draft legislation; however, they show solidarity on one thing - intellectual property cases should be considered in economic courts. as noted by Alexander Pakharenko, Partner of Pakharenko and Partners IP and Law Firm. 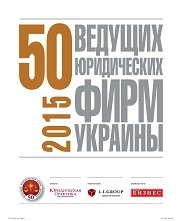 For the Antimonopoly Committee of Ukraine the year 2015 was one of staff renewal and legislative messages . A complete change in the AMCU’s members was particularly marked by the dialogue between regulators and economic agents moving to a completely new level. There is a tendency for modifications in roles and the nature of the Committee’s activity: from a punitive agency to real assistance and development of competition. At the same time, there are decadent judicial tendencies, mainly related to an apparent increase in court fees. The activity of the Antimonopoly Committee of Ukraine in the investigations field will increase. Business must work out communication strategies that are turned towards all instances of "interest" by the Committee. The presence of specially-developed compliance procedures can correctly build communication with the office and significantly reduce the risk of negative results in an investigation. 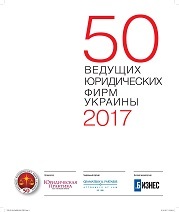 The "50 leading law firms of Ukraine" survey provides a deep insight into the development of the Ukrainian legal services market and the position of certain players on it. And every year the market chronicle is supplemented with new pages.